The bicentenary of Anthony Trollope’s birth is being celebrated across the world on 24 April. The Trollope Society is urging everyone to pick up a copy of Trollope’s most famous and best-loved novel, Barchester Towers, and join the Trollope Big Read, which promises to be the biggest online Trollope reading group ever. 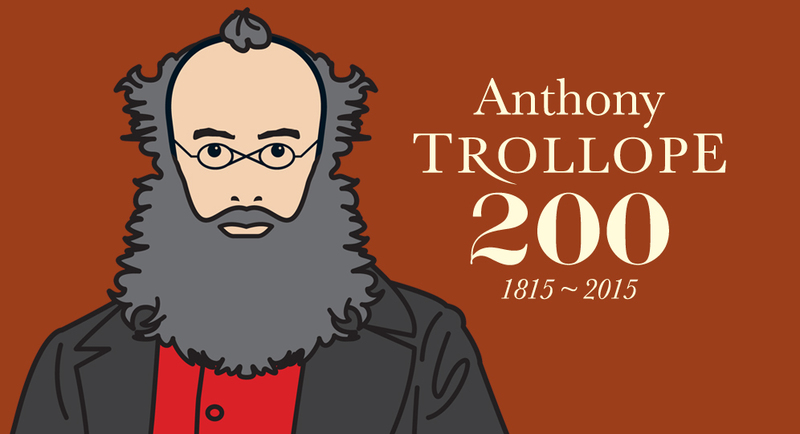 Anthony Trollope is Britain’s most prolific Victorian author. Barchester Towers was his breakthrough novel. Trollope’s previous works, mostly set in Ireland where he was working as a Post Office official, had met with little success. The Warden, his first story set amongst the clergy of Barchester had been well received, but it was Barchester Towers that propelled him to the top flight of novelist. Trollope went on to publish a total of six smash hit Barsetshire books, which remain some of the most popular of his 47 novels. His fans at the time included Queen Victoria, Mrs Gaskell and Leo Tolstoy, who wrote that ‘Mr Trollope kills me with his excellence.’ Other fans have included the economist J K Galbraith, Virginia Woolf, PD James and Harold Macmillan, who famously liked to go to bed with a Trollope. Today his admirers include authors, Antonia Fraser, AN Wilson, and Joanna Trollope; politicians from across the political spectrum, from Sir John Major to Roy Hattersley and members of the clergy; Richard Chartres, Bishop of London is President of Trollope Society. Trollope wrote to entertain, and Barchester Towers does just that. Whilst many of Trollope’s novels are gently satirical, Barchester Towers is, at times, laugh-out-loud funny. Within its pages you meet immortal characters, like the odious Obadiah Slope, the virago Mrs Proudie, and the pugnacious clergyman Archdeacon Grantly. Once you have read Barchester Towers, it’s hard not to become hooked on Trollope. Harold Macmillan noted in his diary that he had been reading Trollope’s novels for months, ‘This must stop. Trollope is a drug’ he wrote. Whether you’re new to Trollope, or already an enthusiast, The Trollope Big Read provides the perfect opportunity to discover, or rediscover, one of Britain’s greatest authors. We look forward to welcoming visitors, old and new, to Barchester.